December 25, 2016 By Richard Duarte & filed under All Articles, Food, Survival. WaterBOB bladder comes neatly folded in a small box and is easy to deploy, fill, and use. It’s a very handy resource to quickly and cleanly store a substantial amount of short-term emergency water. Titan Ready USA Hydrant Water Storage System racks can stack and connect up to four 55-gallon water barrels. 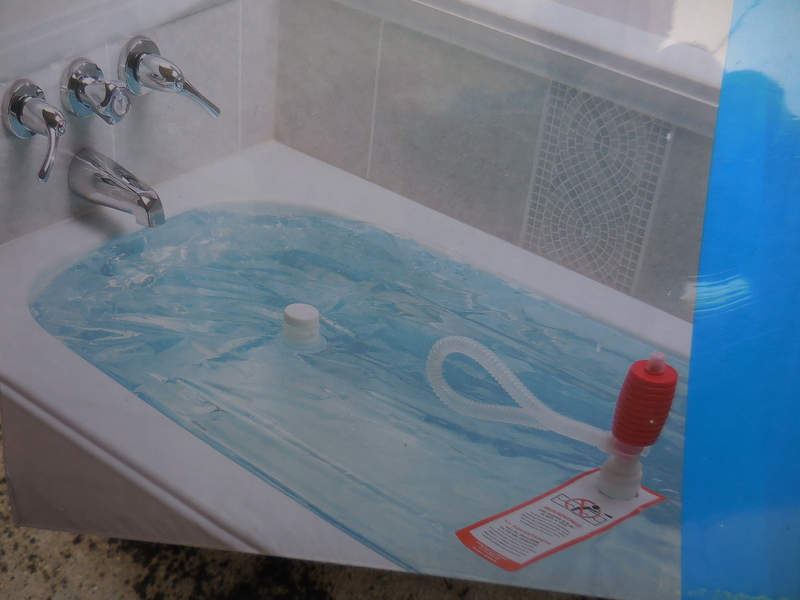 Plumbing kit included with system makes filling, rotating, and using the stored water easy and sanitary. You never need to remove the connections or introduce a siphon or pump into the barrels—gravity does all the work for you. When things go very wrong, having an ample supply of clean drinking water can make all the difference. While storing water may seem simple, there are usually some significant obstacles to overcome. If you found yourself in the middle of a serious crisis, would you have enough stored water to sustain yourself and your family? Let’s take a critical look at water storage: the options, challenges, gear, and essential preparations that may help you stay alive. Considering that water is such a crucial resource, it’s amazing how often people fail to adequately plan for it in their disaster preparations. As a core survival priority, water is second only to security and self-defense. Yet many people frequently take water completely for granted—until the day they don’t have any. The reason for this complacency is simple: water is normally available in great abundance. It’s cheap, plentiful, and as close as the nearest faucet. This illusion of plenty leaves many with a false sense of confidence. To compound an already difficult situation, water storage is full of challenges. It’s never as easy as filling a few containers and checking off the “water” box. But the good news is that, with some solid planning and the right gear, effective water storage is very doable. Fill all barrels by connecting your drinking-water-safe hose to the bottom spigot. Use the same spout when you need water or simply want to rotate your supply. How much water will you need for drinking, cooking, etc? How much for sanitation and hygiene? How will you rotate your water supplies? How will you protect your stored water from contamination and possible spoilage? Do you have alternate water sources for extended survival situations? How will you treat and disinfect suspect water you get from alternate sources? Since every situation is different, accounting for these differences is critical to the success of your overall water plan. In any event, the process of examining your needs and answering these questions will help you come up with strategies that address your particular circumstances, rather than relying on a one-size-fits-all solution. We’ve all seen the common water-storage guidelines—store one gallon per person per day for a minimum of three days. In my experience, these anemic recommendations are absolutely insufficient. Having such a small amount of water is definitely better than having none at all, but not by much. A far more realistic amount is no less than two gallons per person per day for at least 30 days. But estimates are nothing more than educated guesses. The actual amount you store needs to be adjusted to your particular needs and the circumstances. In very hot environments, your water needs increase significantly—and with water, more is always better. A short-term water supply is the backbone of your water-storage efforts. You’re far more likely to need, and use, your short-term water stores than longer-term storage or alternative sources. For this and many other reasons, no one should ever be without a minimum supply of emergency short-term water. For the purposes of this article, “short term” means three to four weeks, although 30 days should be considered the minimum short-term goal. WaterBOB liner fits nicely in a standard bathtub and holds up to 100 gallons of emergency water. Kit comes with liner, siphon, and step-by-step instructions. Easy to store and move. Small containers can be stored in tight spaces. Weight can be spread out over a large area. If stored properly and kept unopened, your supply is probably fine, even after the expiration date printed on the bottle. If you drink bottled water on a regular basis, you can easily build up to a 30-day supply and then just use and rotate it on an ongoing basis, always making sure to replace what you use. The Food and Drug Administration (FDA), which regulates bottled water as a food product, has determined that the shelf life for bottled water has no limit as long as it has not been opened or contaminated. Water that is bottled in sanitary conditions and kept in properly sealed containers will stay fresh for extended periods of time if stored in a cool, dry environment, far away from direct sunlight and any hazardous substances. Always use a lead-free, drinking-water-safe hose to fill your storage containers. 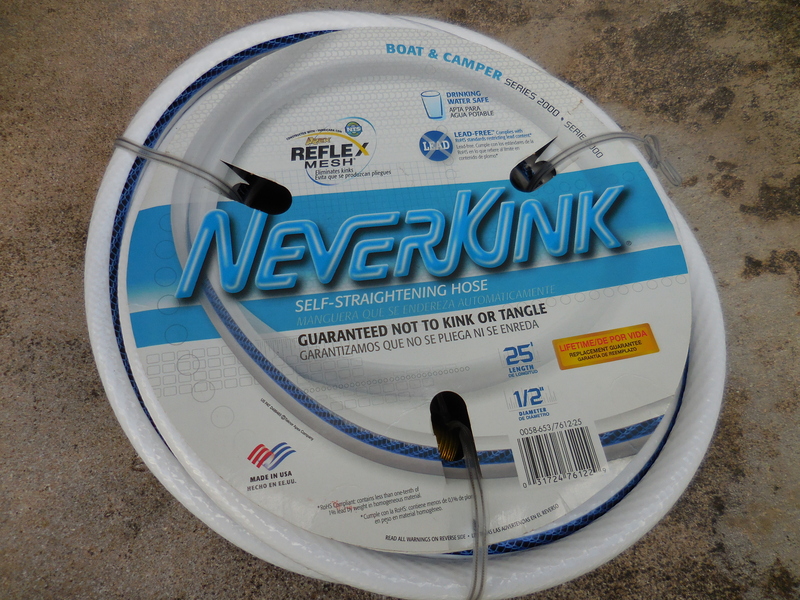 These hoses are normally used to fill water containment units in boats or campers and can be identified by their white color. While bottled water has many advantages, once you decide to increase your water storage, you need strategies for the longer term. The more water you store, the more challenges you’ll face. Water takes up a lot of space, it’s heavy (weighing about eight pounds per gallon), and it must be stored properly to avoid contamination. Storing enough water for a family of four (drinking and cooking) for 30 days means storing approximately 240 gallons (two gallons per person per day) weighing 1,920 pounds. Double those to 60 days and you are now dealing with nearly 4,000 pounds of water or about the weight of an average motor vehicle in the U.S. Not everyone has the space or a structure sufficiently robust to hold that much weight. 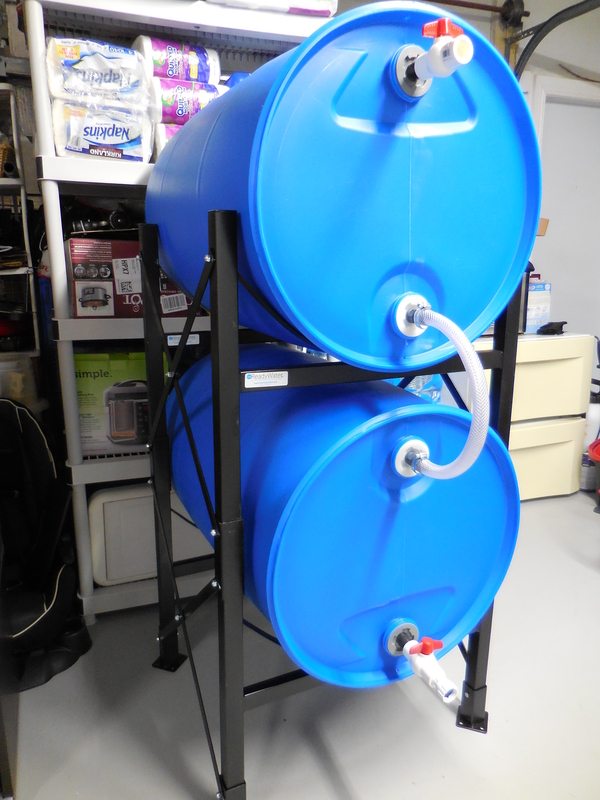 While there are many options for storing that much water, 55-gallon drums being among the most popular, not everybody has the space to store the barrels. Filled with water, each 55-gallon barrel weighs about 440 pounds. Getting the water out of these barrels is another significant challenge. All you need is one dirty siphon hose to contaminate the entire contents of the barrel. One excellent product is the Titan Ready USA Hydrant Water Storage System, which includes everything you need to securely stack and connect up to four 55-gallon water storage barrels. This clever system allows you to rotate the water in all the connected barrels without opening them. This means you never have to worry about introducing a dirty or contaminated siphon pump into your precious water supply. The barrels connect via a drinking-water-safe hose(s), and gravity does all the hard work for you. The design is simply genius for its simplicity and functionality. If you have room for 55-gallon barrels, the Titan Ready System is hard to beat. The Titan racks are welded and powder coated for durability. The wide base offers incredible stability and is pre-drilled to allow for easy attachment to the floor. 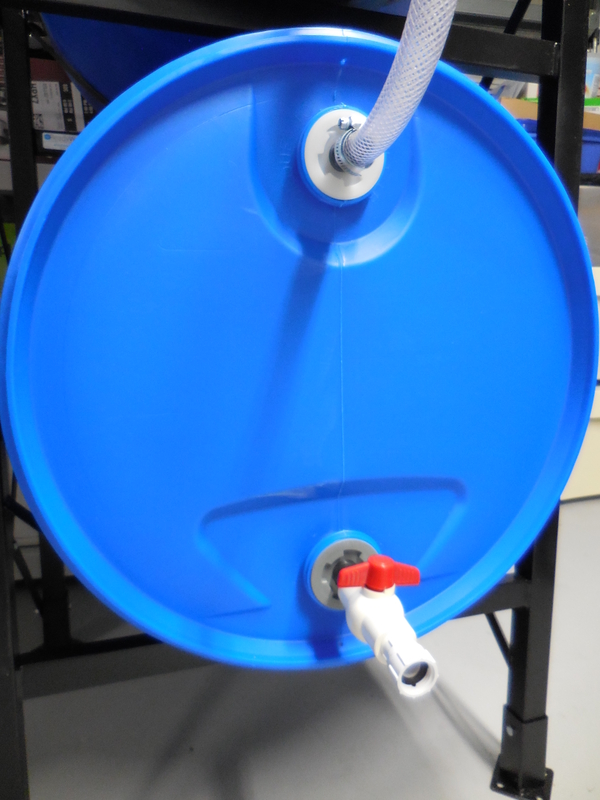 This impressive product addresses many of the issues that normally discourage people from using 55-gallon water barrels, and makes long-term water storage as easy as turning a valve. Bung wrenches and siphons. 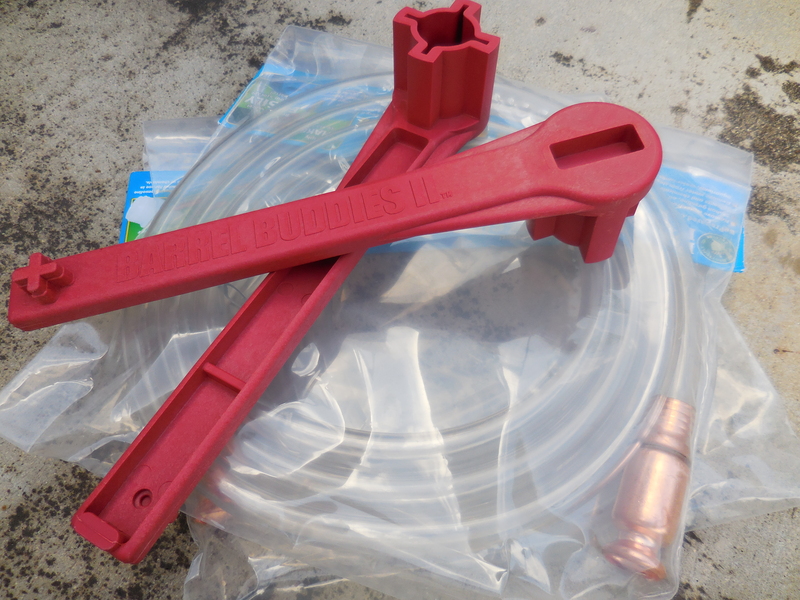 Heavy-duty wrenches are best way to open and close water barrels without causing damage to bung plugs. Having a few drinking-water-safe siphons makes it much easier to move water around. So you’re confident that your short- and long-term water storage preps are all on point, but a storm is heading your way and you’d like to collect a wee bit more water, just in case. You can start filling buckets and empty soda bottles, or you can pull out a waterBOB, unfold the sealed liner in a standard bathtub and proceed to very quickly store an additional 100 gallons of clean, fresh water for drinking, cooking or hygiene. The waterBOB is a sealed bladder constructed of heavy-duty food-grade BPA-free plastic. It comes folded in a small box and stores conveniently, ready to deploy at a moment’s notice. When unfolded, the liner fits perfectly into a standard bathtub and is ready to be filled. Fill times differ, but you can figure approximately 30 minutes on average, depending on water pressure. Water stored in the waterBOB is ready to be used as needed, and until used remains protected from exposure to dirt and other contaminants. The waterBOB comes with a fill sleeve and an easy-to-use siphon pump to quickly move the stored water out of the bladder and into smaller containers for use. 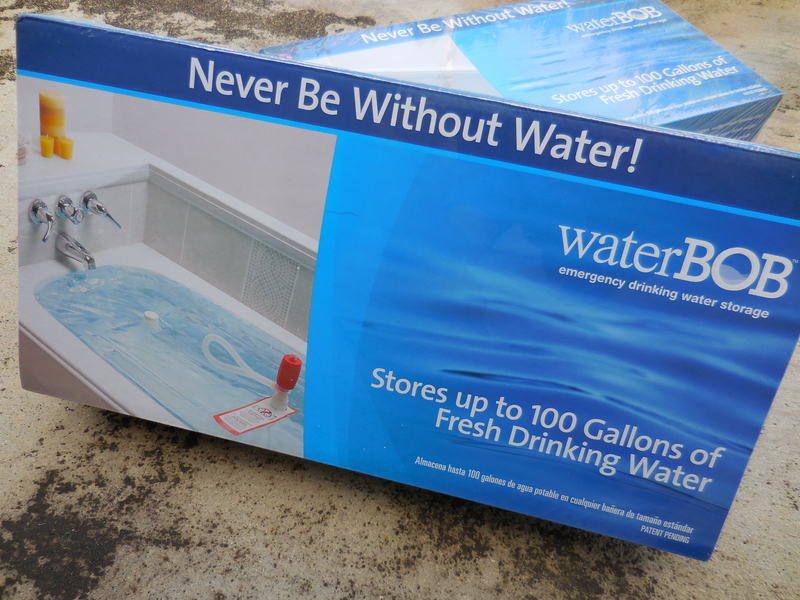 The waterBOB is not recommended for long-term water storage. It’s a disposable, one-time-use product meant to provide an additional option for economical emergency water storage. The waterBOB should not be used for your primary water storage. For one thing, it needs to be filled in anticipation of a crisis and, depending on the crisis, you may not have any advance warning that the water will stop flowing or has become contaminated. Hopefully for those needs, you have your short- and long-term storage. In any event, at $20 a pop, you can’t go wrong. Buy a few waterBOBs and keep them in reserve. 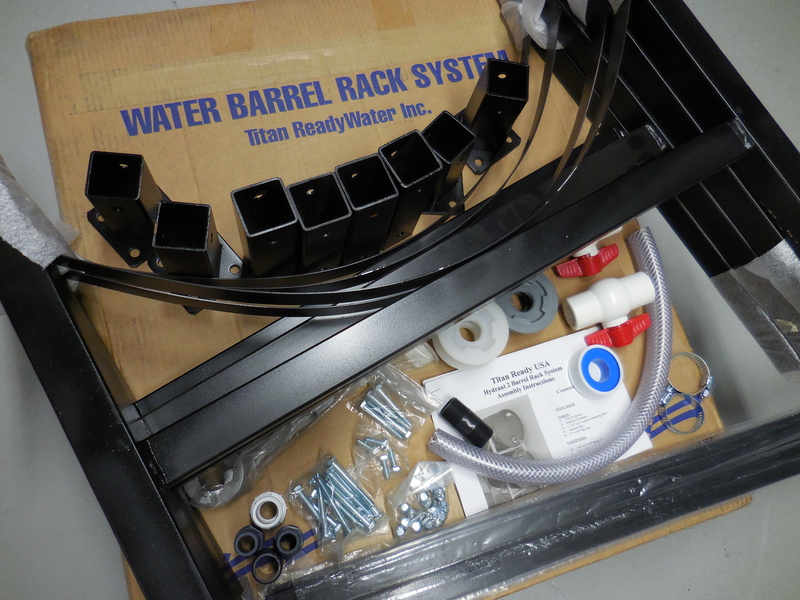 Titan Ready water barrel rack system comes with all necessary parts, instructions, and even a heavy-duty bung wrench. Assembly is straightforward. Storing emergency water is extremely important. Doing it correctly is critical. While there are challenges to overcome, doing so will yield tremendous rewards. With some solid planning and the help of some innovative products, you too can be ready for the next water emergency. Richard Duarte is an urban survival consultant, writer and firearms enthusiast. He’s the author of Surviving Doomsday: A Guide for Surviving an Urban Disaster, and the Quick-Start Guide for urban preparedness. For the latest news and updates, connect with Richard on www.quickstartsurvival.com.